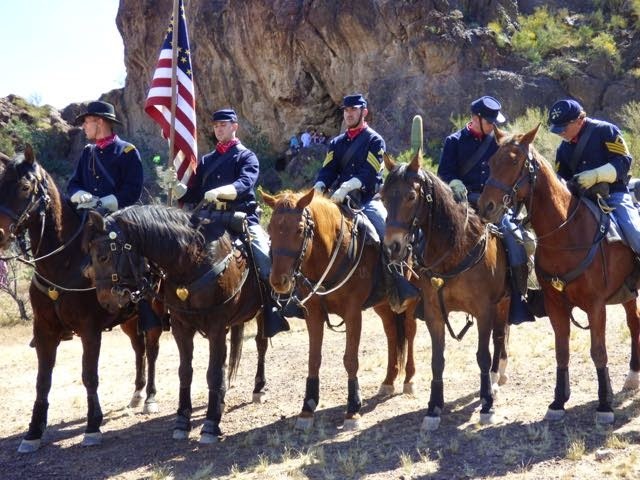 Once a year in March Picacho Peak SP 40 miles north of Tucson off IH10 has a Civil War Re-enactment. 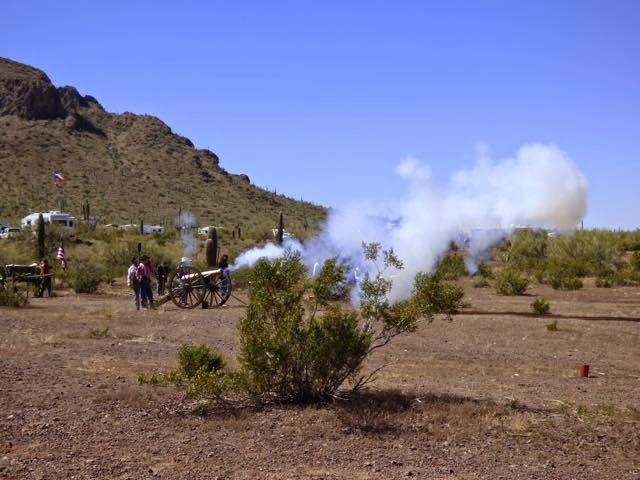 The event runs 2 weekend days and features artillery demonstrations,battle re-enactments,presentations and fashions of the period. 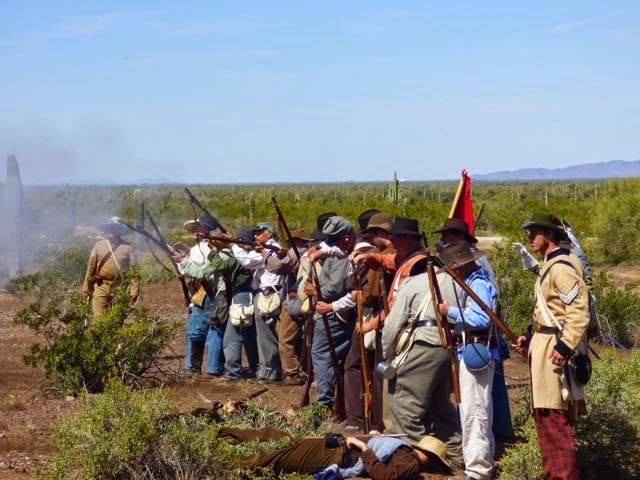 The battles re-enacted took place in Valverde New Mexico and Glorietta New Mexico. 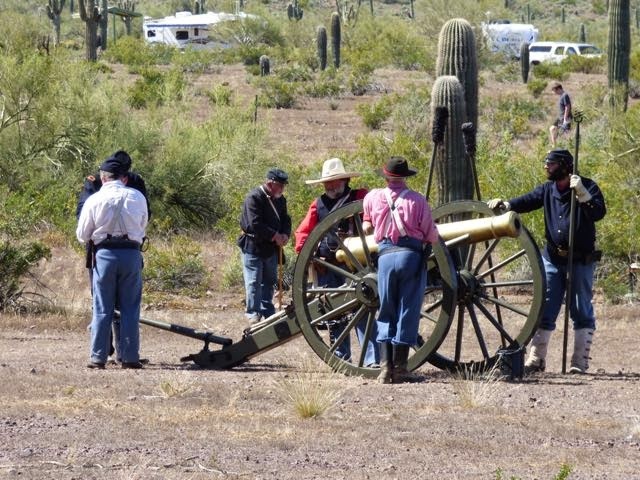 There were no civil war battles, just skirmishes in Arizona. 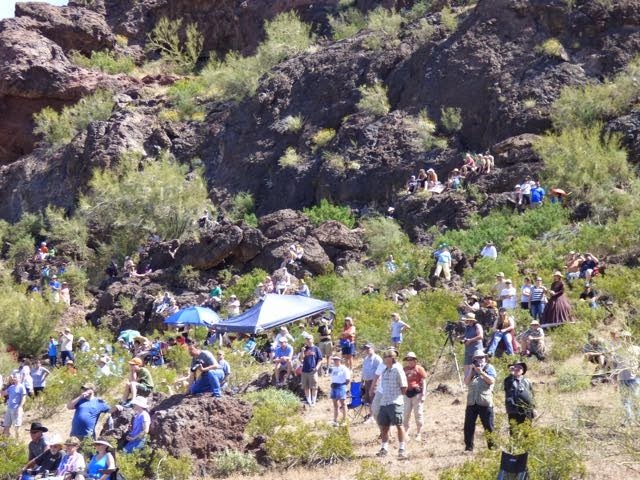 We stayed only for the Valverde battle as the weather was very hot. 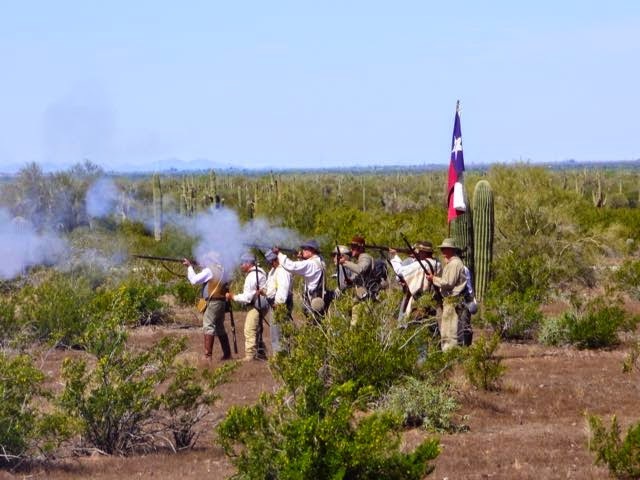 The battle of Valverde took place 21 February 1862 under the command of General Sibley on the Texan side and the Union under the command of Colonel Roberts. 2,000 Texans were engaged by 2.500 Union and 8 cannons. The Texans were equipped mostly with old hunting arms. 5 hours into the battle, Union artillery moved closer to the Confederate center. 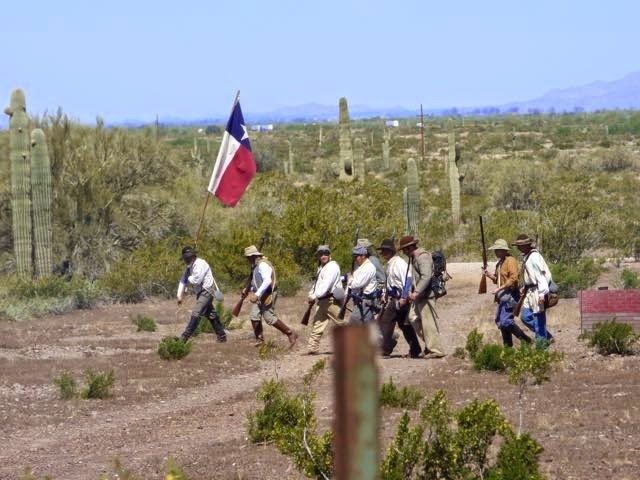 In danger of being beaten, some 200 Texans with four 6 pound cannons charged the Union battery. This forced the Federals to flee and the Confederates were victorious. The Confederates suffered 36 killed, 150 wounded and 1 missing. The Union suffered 68 killed, 150 wounded and 35 missing. 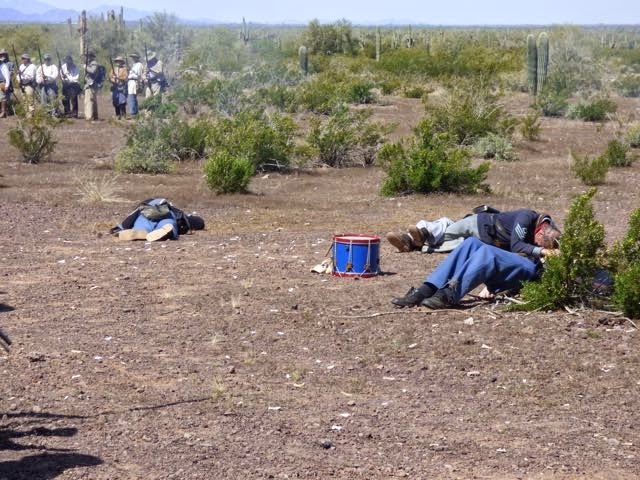 The battle of Glorieta New Mexico took place 28 March 1862 east of Santa Fe. The Union forces were victorious. During the main battle, the hidden 80 wagon supply train was discovered. The draft animals were slaughtered and the supply wagons burned. The Texans were forced to retreat back to Texas. 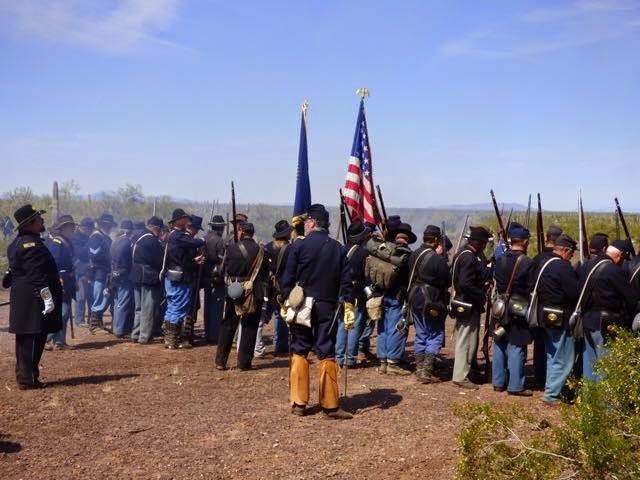 The volunteers who perform these re-enactments provide their own equipment, uniforms and time. 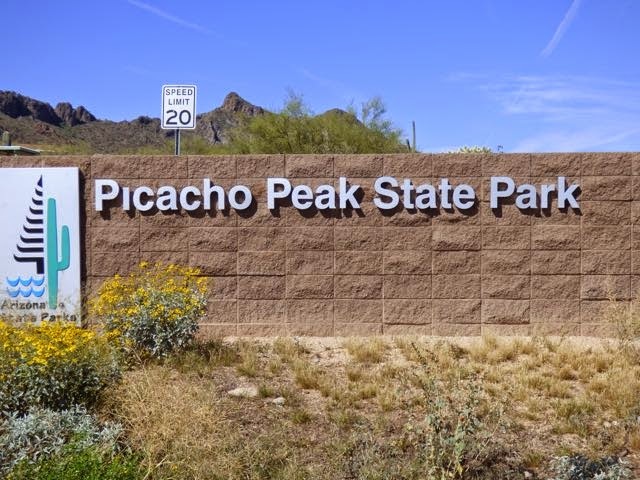 Picacho Peak SP features hiking trails, campground,picnic areas,visitor center and gift shop. 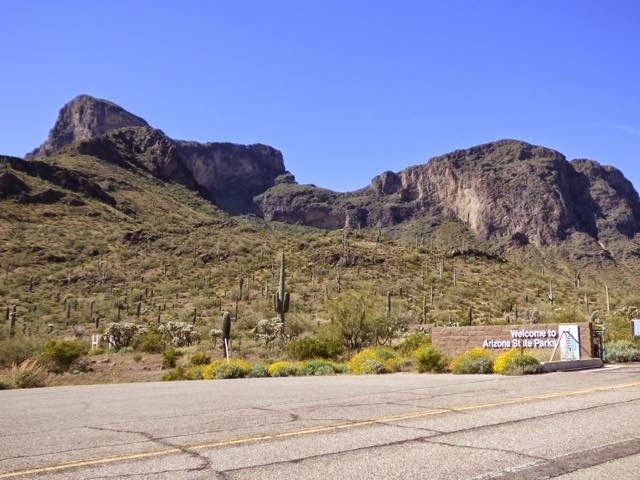 Note that the park is closed during the summer months due to the heat and rattlesnakes. 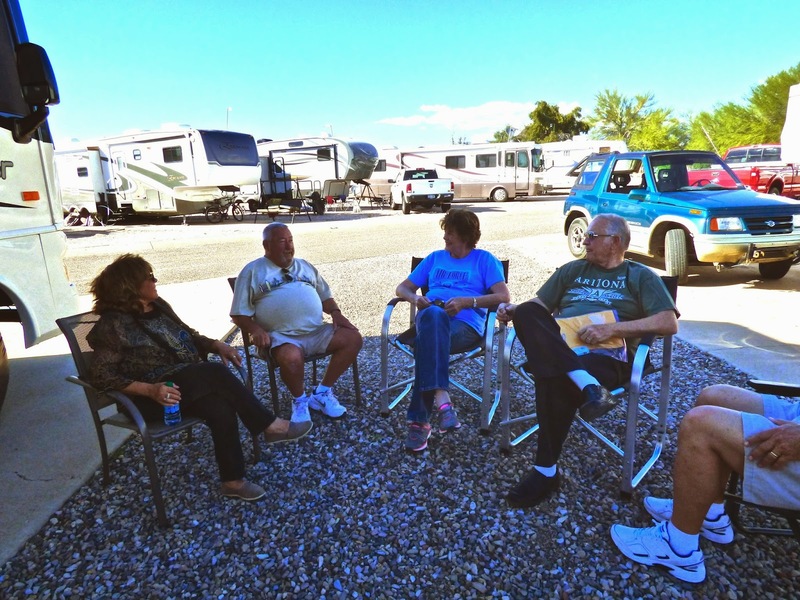 Yesterday we had a get together with friends Connie and Ken and Rocky and Loretta. I stand corrected in that we met Connie and Ken five years ago not three at Wright Patterson AFB in Dayton OH. I am so glad we have kept in touch and we plan to get together again when we pass through Wichita in June. 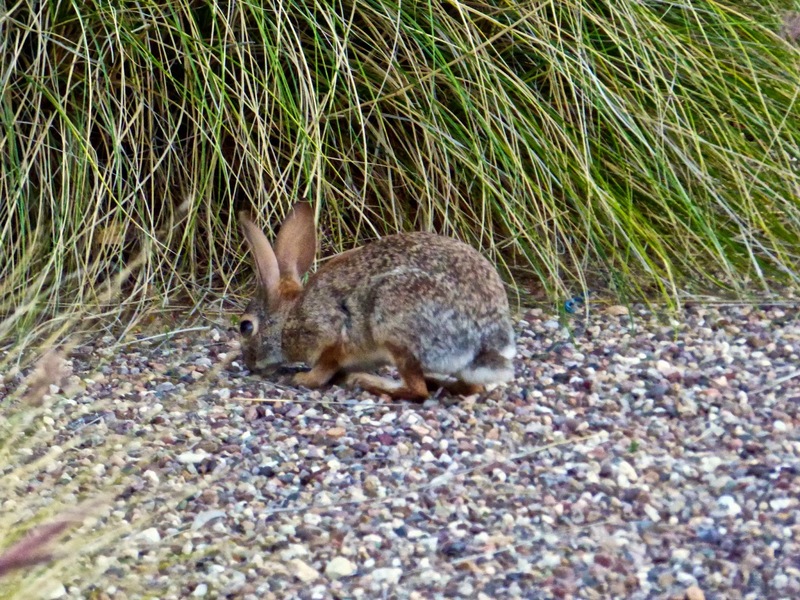 We met Loretta and Rocky last year at Nellis AFB and reconnected again while there.Tomorrow we are going to Biosphere for a tour. with Rocky and Loretta. Both are fun couples and we enjoy their company. 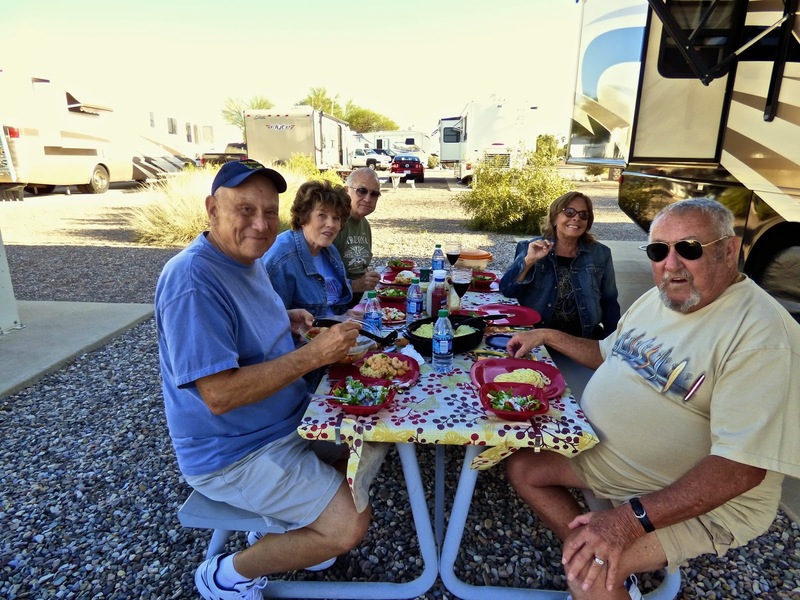 Lots of laughs about RV adventures.